Fall is a popular time for weddings. Mostly because of the weather and that nature gives us a break from the heat . Brides simply love this season and here are some wonderful ideas to accentuate your fall wedding planning. Location: Make sure that wherever you host your wedding, that it’s somewhere that is accented by the natural beauty of the season. 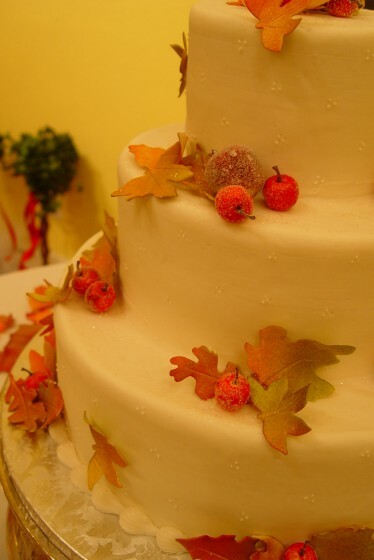 Set the scene: It’s good to plan ahead and make your guests aware of your fall themed wedding in advance. This may help to steer them in their choice of fashion accessories such as maple leaf broaches or autumn color handkerchiefs. Set the pace by sending our leaf save the date cards or wedding invitations with a fall or autumn feel to them. 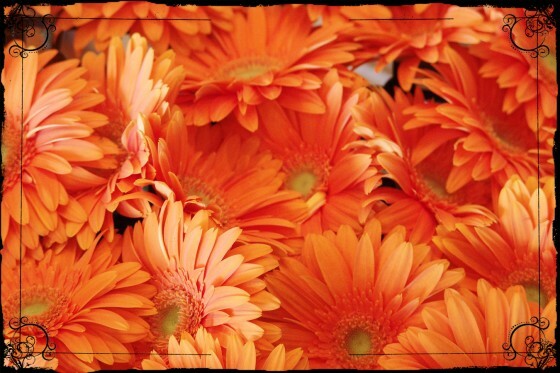 Decorations: It is important to make sure that your guests can enjoy the seasonal colors whether they are inside or out by decorating the tables with centerpieces that use colorful leaves, straw, dried flowers, and pumpkin colors. Keeping within the brown and yellow spectrum of colors will be eye catching. Small details like using a Leaf Guestbook or maple leaf place card holders make very dramatic statements. Handmade tablecloths and doilies also give a small town feel that adds a nice touch. And most importantly, lighting. Make sure that whoever is in charge of decorating, that they keep the lighting subdued and not bright white. All of your colors can get washed away in bright white light. Keep lighting off-white or yellow to keep the ambiance flowing even in the air. If the DJ will be supplying lighting as well, be sure that they know of your color plans so that their “disco lights” don’t ruin everything you worked so hard to create. But more importantly, be sure to let your wedding photographer know about the yellow lighting since yellow plays havoc on white balance. It’s best they know as far in advance as possible.